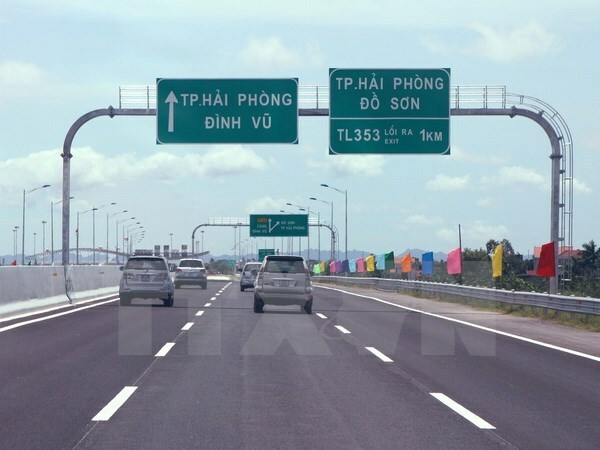 HAI PHONG (VNS) — A section of Ha Noi- Hai Phong Highway will be opened to the public on September 26, the Viet Nam Infrastructure Development and Finance Investment Joint Stock Company (VIDIFI) said. The 52.5km stretch in Hai Phong City runs from National Highway 10 to National Highway 39. As the stretch will be temporarily operational, the VIDIFI, which is the project investor, proposes to charge a fee of VND1,500 (US$0.7) per kilometre on each car or van. The proposed toll would be the same as the toll collected on other highways, such as Noi Bai-LAo Cai, Ben Luc-Long Thanh and Cau Gie-Ninh Binh highways, General Director of VIDIFI Nguyen Van Tinh said. The 105km Ha Noi-Hai Phong Highway is expected to open to traffic on December 6. It will have a speed limit of 120km per hour. A 22.7km section of the highway, extending from National Highway 10 to Road 353, opened to traffic on May 27.